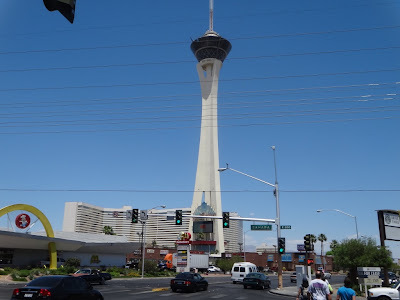 Photograph 1 - The Stratosphere Tower from a short distance away. Photograph 2 - The view of The Strip from the Stratosphere Observation Tower at "855 feet". Photograph 3 - Young ladies ready to jump off the Stratosphere Tower for a quick "rush". Photograph 4 - The Stratosphere Tower from the bottom. 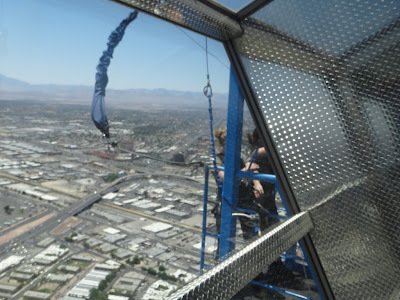 If you zoom in to the small dark spot just under the observation floors and on the left column you'll see a "live jumper" taking his/her thrill ride off the structure. Photograph 5 - Doing the rumba at the Tropicano Hotel show "Dancing With The Stars". ------------------------------------------------------------------------------------------------------------------------------------------------------------------------------------------------------------------------------------------------------------------------------------------------- Our plan for today is to walk to a Shoe shop to see if Anne can fit into any ballroom dancing shoes. David Alexander from our dancing social two nights ago gave us an address of a nearby and only shop in LV. Anyway we walked the two kilometres and found out the shop is gone! 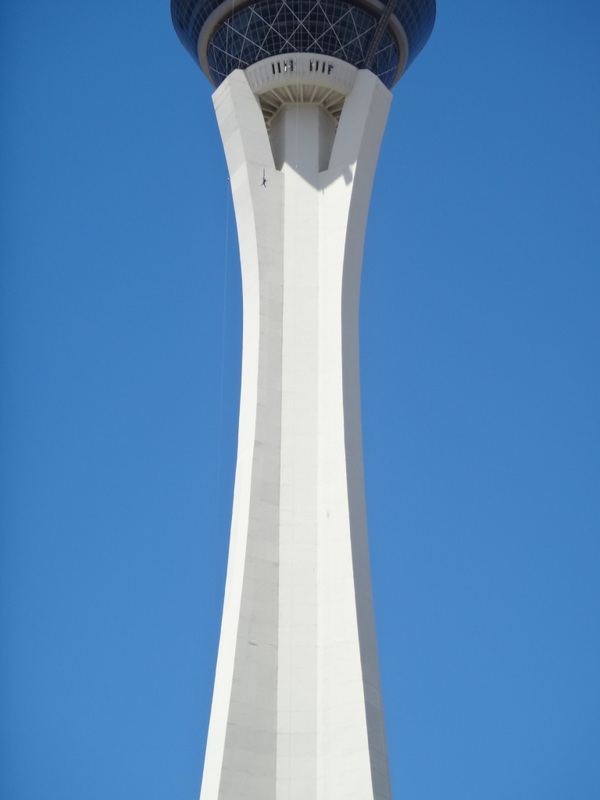 We then made a decision to walk a further three kilometers to the Stratosphere Tower. At the ticket office they gave us "seniors" rates to go to the observation deck (12USD) which we found quite strange to be offered this deal. Once at the top there are thrill rides one can do - ride the up and down machine on top of the observation floors - take the angled carriage that tries to tip you over on top of the observation floors - and the jump off the structure from the observation level. All these "thrills" are out in the open!!! As you can see in pictures 3 and 4 why would you want to jump out of a perfectly good building??? Returned to our hotel by monorail we prepared for our show tonight. We had good seats for the show and was featured by Carson Kressley - a well known comedian with a gay slant. The dancers were a mixture of professional dancers from the American version - apparently the DWTS has been going for 15 years over here! We will check out of our hotel at noon tomorrow and hence have eight hours to fill in to transfer and catch our 11:30pm flight to Washington DC. 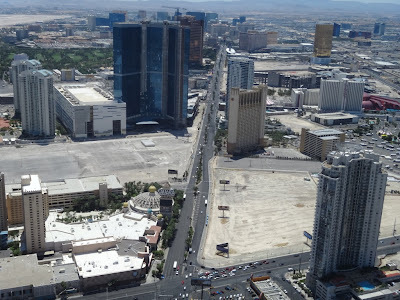 The capitol is three hours ahead of Las Vegas and the flight will take us 4.5 hours. Caculating these figures we will arrive at 7am. We will be denied some sleep hours. So until the east side of USA cheers.